A foreign national may work in Cyprus if he or she has an employment visa. Employment visas are issued to foreign nationals who are employed in Cyprus by Cypriot entities. Nationals of other EU countries are routinely granted employment visas. EU nationals may work freely in Cyprus. A non-EU national in an executive or managerial position who works for an international business company that maintains administrative offices in Cyprus may easily obtain an employment visa. Professional and clerical employees are not granted visas unless no qualified local personnel is available. A local employer must prove that it cannot find a Cypriot employee with compatible experience. To obtain employment visas in Cyprus, applicants must submit to the migration office a passport or equivalent travel documents and an employment contract. Application for employment visas may be made in either the home or host country. Employers and employees each must make social security payments of 6.8% (effective from 1 January 2014, the rate is increased to 7.8%) of monthly compensation up to a maximum monthly amount, which is currently €4,533. Self-employed persons must contribute to the social security scheme at a rate of 12.6% of monthly income. Minimum and maximum monthly incomes of self-employed persons are classified according to the type of business, profession or vocation. Foreign nationals employed by local employers must contribute to the Cyprus social security system unless either of the following applies. They can claim exemption on the basis of bi lateral agreements entered Into by Cyprus (applicable for employees working in Cyprus for periods of up to three years). 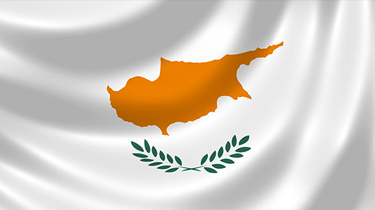 Thinking of contracting in Cyprus?